This tutorial shows you PFlow Simulation and PFlow advanced data manipulation. How to setup multiple systems to simulate a car crash that results in metal bending. This tutorial is using the Particle Flow Toolbox #2 and #3. (It is recommended to have caching tools like SuperMesher or XMesh). The video is 50 minutes long in 1280×720 WMV format and the download features the final max file without external plugins (other then mentioned). 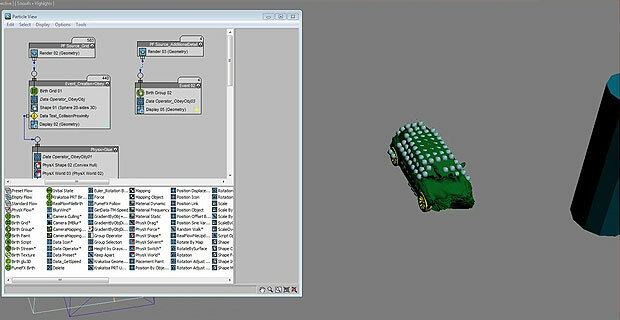 NOTE that the hires car used in the video is from an Evermotion.org Car Collection and used with permission. The featured max file will have a proxy stand in car.